Political risk assessments are an under appreciated aspect of the due diligence undertaken as part of the process of engaging in cultural, diplomatic or economic exchanges in foreign locations. Most political risk analysis, including country risk assessments, are done by large credit rating agencies and insurance underwriters. Some nations provide country risk assessments for citizens traveling abroad, and many undertake political risk analysis as part of foreign policy information-gathering. Some journalistic outlets, be they subject specific (trade journals) or broad-based in focus, offer yearly assessments of regional and country risk profiles. Much less dedicated attention is paid by private entities to this important aspect of due diligence, who when concerned at all rely on the insurance industry, government reports, journals and the information provided by foreign interlocutors for information on the political as well as physical risks surrounding any particular investment opportunity. The South Pacific is a region that is particularly underserved when it comes to political risk analysis. There are few specialists in South Pacific geopolitics and strategic analysis, and those that exist are located in academia. The large global firms that undertake political risk analyses by and large do not have South Pacific specialists, so rely on government and non-governmental data collectors for their appraisals. 36th Parallel Assessments specialises in South Pacific political risk analysis. It fills a niche in the industry and provides clients with focused assessments of country, regional and subject-specific conditions and trends. As part of its services 36th Parallel Assessments provides client-focused country assessments for a flat fee. The service is based on ten hours minimum research and writing and delivers a PDF hard copy and electronic report on the matter under scrutiny (the assessment has been reformatted here to fit within web page specifications). The language of the deliverable is non-academic and designed to facilitate quick uptake by decision-makers. The sample assessment offered below is an analysis of New Caledonian political risk for the period 2014-20. The time period is governed by the impending referendum on New Caledonian independence, which must be completed by 2019. Given the weight of mining on the national economy, the hypothetical client is a foreign-based mining industry actor with an investment interest in the Northern Province (one of the less developed of the three New Caledonian provinces), and in particular the area known as the Koumac district that has seen renewed interest in previously abandoned mining projects. New Caledonia has a low-medium political risk ranking over the next five years. New Caledonia faces political uncertainty in the form of a referendum on independence from France scheduled for an as of yet undetermined date between now and 2019. Tensions between indigenous Melanesians (Kanaks) and French settlers (Caldoche and Metros) have erupted in violence in previous decades, and the process of power transfer outlined in the 1999 Noumea Accords is designed to definitively and equitably settle the country’s status via popular vote. Public opinion is divided on the issue, which along with concerns about the cost of living, environmental degradation, working conditions, ethnic tensions and foreign immigration have contributed to the air of uncertainty confronting the nation. 36th Parallel Assessments offers an overview of the situation, focusing on national politics, diplomatic relations, politics in the North Province and conditions in Koumac, the latter two chosen because the investment interest is located there. The analysis concludes that New Caledonia is a low medium political risk for foreign investors regardless of the outcome of the referendum, which at this point appears to favor those who wish to remain as a semi-independent overseas French territory. What risk exists will likely be more political or industrial rather than existential. Relations with the North Province government will require attention. Contained within is a political risk analysis for New Caledonia for the period 2014-2020. It has been prepared by 36th Parallel Assessments as part of the due diligence done in support of an investment interest in New Caledonia. The analysis consists of an introduction, background, and brief analyses of national, provincial and local politics as well as New Caledonian foreign relations. The methodology for the study consisted of surveys of the academic, business and journalist literatures focused on New Caledonia; government documents from New Zealand, Australia, the US and France; international organization data bases and analyses about New Caledonia; credit rating agency and insurance underwriter reports on that country; travel advisories; and discreet, off the record/background/not for attribution conversations with individuals familiar with New Caledonian affairs. A brief online reference list is included at the end of the report. This 36th Parallel Assessments political risk analysis and country ranking is for general information purposes only. New Caledonia is a former French colony that holds the unique status of special French overseas collectivity. That status gives it a level of political independence and degree of autonomy in the conduct of its affairs above that of other former French colonies. In this it is closer to the Cook Islands relationship with New Zealand rather than Tahiti’s relationship with France when it comes to self-governance, as it maintains its own popularly-elected national, provincial and local governments, independent foreign relations with other Pacific states, and majority control over domestic resource extraction and utilization. Yet it is not entirely sovereign. The New Caledonian government is responsible for taxation, mining regulation, labour law, public health and education, agriculture and foreign trade. France provides the public bureaucracy and is responsible for internal and external security, justice, global diplomatic relations and Treasury. New Caledonians enjoy dual citizenship, two national flags, and parallel justice systems that are based on French and local customary law, respectively. Two representatives in the French National Assembly and two French Senators represent New Caledonia in France. French authority in New Caledonia is exercised through a High Commissioner and a system of municipal administrators. New Caledonia has a population of 256,000. Forty four percent are native Melanesians known as Kanaks, 30 percent are Europeans descendent from the original colonizers along with newer arrivals and members of the French civil service and military (commonly known as Caldoche or Metros, depending on how long they have lived in New Caledonia), with the remainder comprising a mix of Polynesians (mostly from Tahiti, Wallis and Fortuna), Indonesians, Vietnamese, other Melanesians (Fijians and Vanuatians) and immigrants from other French former colonies. The majority of the population lives on the main island of Grand Terre, with small populations residing in the Isle of Pines and Loyalty Islands. Forty percent of the population is under age 20 and 75 percent live in the South Province of Grande Terre, mostly in and around the capital Noumea (population: 165,000 out of a total of 185,000 in the South Province). 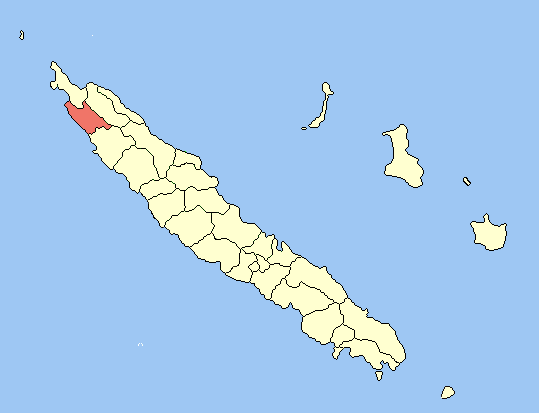 New Caledonia is a classic instance of what is known as a “dual society.” The majority of the population, including the national elite, lives in relatively modernized urban areas in and around Noumea and is connected to the globalized political economy via technological, cultural, entrepreneurial and social means. The minority, located in the North and Loyalty Islands, live in largely pre-modern rural conditions with traditional social hierarchies and are only causally connected to the outside world via technology, tourism and relatively limited economic enterprise. This has pushed internal migration from North to South Grande Terre in pursuit of economic opportunity, although in recent years the trend has slowed as large-scale enterprise, particularly mining, has increased operations in the North. The country is divided into three administrative districts: the North Province, the South Province and the Loyalty islands, covering a total of 33 municipalities (also known as communes or districts). 74 percent of the Kanak population lives in the North Province, and 80 percent of the population of the Loyalty Islands is Kanak. The South Province, where the bulk of the European population is located, contains more than twice the population of the North Province and Loyalty Islands. New Caledonia has a labour force of approximately 105,000, with an unemployment rate of 17 percent (higher amongst Kanaks). The average minimum wage is approximately 1,250 Euros per month. The unionization rate is 25 percent in the public sector and 15 percent in the private sector. Most employment is found in the manufacturing, construction, mining, service and public sectors, with undeclared part time work cash work prevalent in the provision of services. Both corporate and individual taxes are relatively low but the cost of living is high due to extreme dependence on commodity imports. New Caledonia is estimated to hold 25 percent of the world’s nickel reserves. Nickel mining constitutes 15 percent of the national GDP and 90 percent of its export earnings. After a slump in nickel prices during the 2008-2011 global financial crises, nickel prices climbed on the back on increased international demand and are forecast to continue to rise in the near future. This in turn is believed to impact positively on domestic economic growth, which is forecast to rise three percent in the 2014-15 fiscal year and remain above two percent thereafter. French remittances comprise 25 percent of GDP, with the rest made up of manufacturing and services. At over US$ 38,000 per capita, New Caledonia has a higher GDP than New Zealand, although income inequality and wealth concentration is significant. New Caledonia is governed by a 54 seat Territorial Congress elected at five-year intervals that appoints an 11 person Executive based on proportional representation of parties in the legislature. Congressional seats are allocated based upon party representation in three Provincial Assemblies (those of the North Province, South Province and Loyalty Islands). 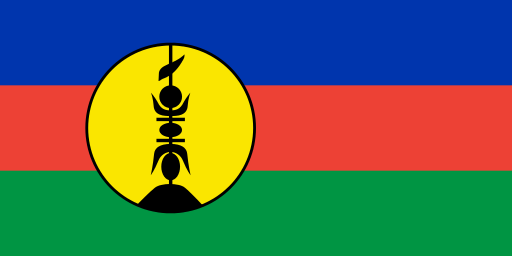 The major division amongst New Caledonian political parties is on the issue of independence from France. Loyalist parties, which occupy the Right of the political spectrum, want to remain French, although they differ on degrees of autonomy from the French state. Pro-independence parties, on the Left of the political spectrum, want to gain sovereign control of the country’s affairs, although here too there are differences between parties on the process and extent to which power is transferred to New Caledonian authority. Interestingly, militant parties on both extremes of the political spectrum lost ground in the 2014 elections when compared to 2009, so the bilateral move towards centrism suggests that political compromise is possible. As is common in small countries, personalities are as important as ideology in New Caledonian politics. 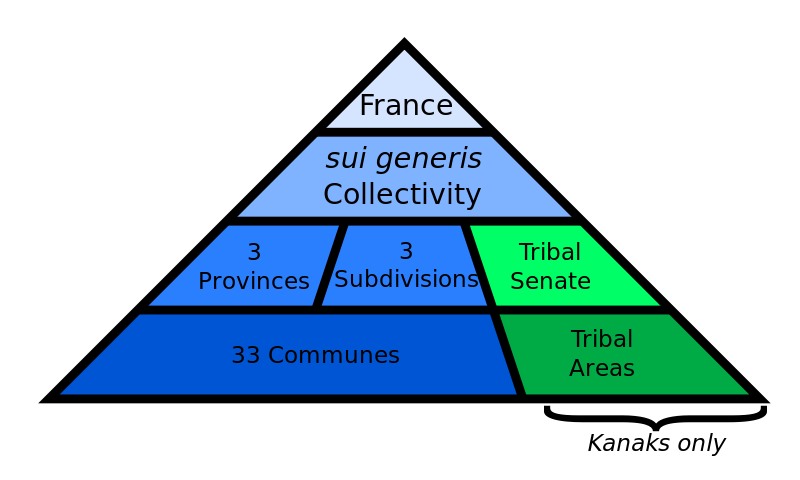 This has led to numerous splits and factional disputes on both sides of the political spectrum, and promotes a tendency towards populism during election years (where many promises are made that have no possibility of being honoured). There is also a 16 member Customary Senate selected from 8 customary areas and 57 customary chiefdoms (2 Senators from each customary area). The Customary Senate has an advisory role on all matters related to Kanak identity, and local customary authorities have legal jurisdiction on issues such as marriage, inheritance, adoption and land issues. However, the French penal system applies to most matters of criminal and civil law. 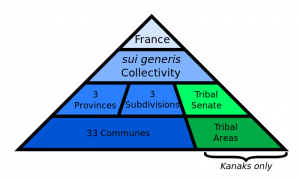 Under terms of the 1998 Noumea Accords, which commits France and New Caledonia to a process in which political authority is gradually transferred from the former to the latter by 2020, the May 11, 2014 election (the last under the Accords) installed a Territorial Congress that will be responsible for holding a national referendum on independence by 2019. 60 percent of the Territorial Congress must agree to hold the referendum, and then set a date. There can be up to three referenda held during the five-year time frame if the anti-independence vote prevails in the first instance (a majority vote for independence will be final). Should it prove impossible for the Congress to agree on holding a referendum by 2018, the French state will have to organize one. No political party can modify that. Before the referendum can be held, the process of devolving non-core state functions such as public health and education needs to be completed, something that has not occurred as the date of this writing. Only after this part of the process is complete can Congress attempt to set a date for the referendum on transferring the core sovereign powers—police, justice, military, finance and foreign affairs—to local control. The delay in accomplishing the preliminary handover suggests that there will time constraints placed on the holding of multiple referenda, something that works in favor of the Loyalist agenda. The current government, led by President Cynthia Ligeard of the Loyalist Rassemblement-Union pour un mouvement populaire (R-UMP) party, was installed on the basis of a decisive (59 percent) victory of Loyalist parties in the 2014 elections. Six of the eleven members of the executive branch come from Loyalist parties, as does the president of the Territorial Assembly. However, Loyalists saw a drop from 31 to 29 seats in the Territorial Congress while pro-independence parties led by the Front de Libération Nationale Kanak et Socialiste, (Kanak and Socialist National Liberation Front, or FLNKS) increased their share from 23 to 25. This was due mostly to FLNKS electoral gains in the South Province coupled with their dominance of the North Province and Loyalty Islands (where FLNKS and other pro-independence parties control 18 of 22 provincial assembly seats in the North Province and 14 out of 14 of seats in the Loyalty Islands). The distribution of seats in the Territorial Congress suggests that it will impossible for either government or opposition to rally the 60 percent (33 seats) of Congressional votes in favor of a referendum without significant crossing of the aisle. That in turn will lead to political negotiations within and between each camp in pursuit of workable compromises that are satisfactory to most of the factions within each before a vote on holding the referendum can be held. The distribution of seats makes it easier for the Loyalist government to secure the additional votes required for a referendum to be approved, but the process of convincing four pro-independence representatives to cross over will require considerable negotiation.The possibility of a majority vote in favour of complete independence is unlikely given that the horse-trading involved in securing a polling date will work against referendum language that speaks to a full transfer of sovereignty. 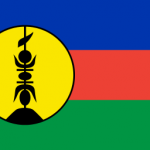 There is a fairly strong union movement in New Caledonia, elements of which have relatively militant tendencies (in that they are not averse to industrial sabotage or prolonged strikes to get their point across). Eleven unions represent the organized labour force of approximately 20,000 members, with the USTKE (representing Kanak workers and advocating socialism, with ties to the FLNKS and Worker’s Parties, prevalent in the manufacturing and service sectors), USOENC (with a majority representation in the nickel mining and metallurgy industries) and public sector union FCCNC being of particular note. Union presence is strong in transportation and manufacturing, and strike activity is frequent across the economic spectrum (averaging 52 strikes per year in the period 2006-12). Working conditions, the high cost of living, wage adjustments, environmental concerns and the importation of foreign workers (especially in the mining industry) are the most frequent points of grievance. There is no central labour confederation and ideological disputes have impeded long-term organisational unity amongst the organised labour force, but the ability of individual unions to mobilize their members with or without support from other unions is significant. Even with the gains made by the pro-independence forces in 2014, it is unlikely that a referendum on independence will go in their favour. Not only do polls have Loyalist sentiment well ahead of pro-independence views, but also the implications of a complete withdrawal from the French state are apparent even to pro-independence politicians. Moves to amend the Noumea Accords so that they result in something less than a referendum on full independence are already being discussed by both sides of the political divide, and the electoral rules under which a referendum will be held favor Loyalists (by among other things allowing new migrants to vote). Notwithstanding the demographic imperative of higher Kanak birthrates, European immigration continues to maintain the relative balance of Kanaks to non-Kanaks in favor of the latter. That means that, with just 44 percent of the population, the pro-independence Kanak factions have an uphill battle in the court of public opinion, and will have to convince a sizable number of non-Kanak voters to toe the pro-independence line. Given financial dependence on France, that is hard to envision. A pro-independence vote is unlikely to produce a dramatic shift in the regulatory or political regimes governing New Caledonia. All political factions understand the importance of nickel mining to the national economy and the benefits accrued from close association with France. Even if independence were to be granted, it may in fact be more a case of semi-independence or mixed governance along lines already established rather than a full break with the mother country. Some core state activities such as domestic security may be transferred to local authority, but it is likely that France will continue to hold a patron or overseer role in others. There is a possibility of unrest if the pro-independence vote fails. Younger Kanaks, particularly in the urbanized areas of the South Province, are more anti-imperialist than their parents and support a form of Melanesian Socialism that argues in favor of total indigenous control of politics and the productive apparatus. However, the downside of transiting to such an arrangement is far too great for the other sectors of the population to accept, so even if there is unrest and bouts of violence in response to defeat at the polls, it is unlikely that militant pro-independence action will be widely supported, protracted or permanently damaging to the contemporary status quo. An additional factor insuring against destabilizing unrest surrounding the referendum is the presence of French military personnel on New Caledonian soil. The French maintain a presence of 2,900 troops in New Caledonia, including a regiment of French Marines that constitute the bulk of French land forces in the South Pacific. There are also Naval and Air Force assets deployed to New Caledonia as well as 750 Gendarmes. In 2009 Australia and France signed a Defense Cooperation Agreement/Status of Forces Agreement (DCA/SOFA) that binds them together in regional security operations and training well after the 2019 independence decision date, so it appears unlikely that will be discontinued in the event of a pro-independence vote. In fact, New Caledonia represents one of two major axes of the French military presence in the South Pacific (the other being Tahiti, where the French Pacific Fleet is home ported). With few alternatives when it comes to basing land forces in the South Pacific and the Australian DCA/SOFA in place, the French military is likely to remain in New Caledonia regardless of the outcome of the referendum. What may change is its role in internal security, where indigenous police forces may replace the French constabulary as part of a partial or complete transfer of sovereign powers. In light of the French security presence (which is responsible for some of the French remittances factored into the New Caledonian GDP), it is possible that the size and character of that presence will become part of the political negotiations surrounding the referendum. Beyond the question of independence, the major sources of social tension in New Caledonia are environmental degradation from mining, the high cost of living, and unemployment, especially amongst Kanaks. At 17 percent the unemployment rate reflects the poor labor absorption capacity of the national economy, particularly with regard to skilled labour. Serious dependence on food and energy imports makes New Caledonia vulnerable to supplier cost increases. The New Caledonian currency is the Pacific Franc, which is pegged to the Euro. In light of the looming referendum, there is a concern in financial circles that a move to full independence will bring with it the replacement of the Pacific Franc with a much less valued national currency, thereby increasing the cost of imported goods, to include basic domestic staples. That is seen as an invitation to social unrest. There is increasing popular resistance to environmental damaging mining practices. Numerous strikes and demonstrations against environmental pollution have occurred over the last five years, with some of these becoming violent. As a result it is a government and union priority to emphasize environmental regime compliance. In broad terms, the risk of instability stemming from the vote on independence is considered by most observers to be low. On political risk indicators developed by insurance underwriters, New Caledonia consistently ranks as a 2 on a scale from 1 (low risk) to 7 (high risk). On political instability scales developed by credit rating agencies the risk exposure is slightly higher (roughly 5 on a scale of 10) owing to government turnover in years past and the prevalence of strikes and demonstrations as a form of protest. However, as part of the referendum process outlined in the Noumea Accords, the government installed in 2014 has an 18 month period of grace that means that even if a coalition partner withdraws from government it will not force its dissolution (as has been the case in the past). This may allow the newly installed authorities some room for maneuver when embarking on negotiations over the timing and content of the referendum. This suggest that continuity, relative stability and negotiated compromises will be the hallmark of national politics over the next five years even if there are periodic bouts of labour or political unrest. The North Province has a population of 45,137 (2012), of which 74 percent are Kanak, 13 percent European and 13 percent other ethnicities. Its capital is Kone. The 22 seat Provincial Assembly is dominated by pro-independence parties led by the FLNKS (18 seats). This dominance makes the North Province the core of the pro-independence constituency. Along with the Loyalty Islands, the North Province is much less urbanized than the South Province, with higher levels of poverty and illiteracy than in the south. Most of the village economies revolve around subsistence agriculture (yams and taro in particular), fishing, tourism and artisanal craftwork, with cattle ranching and larger land holdings mostly resting in Caldoche hands. Mining became of primary importance to the provincial economy as the Konaimbo Massif became increasingly exploitable, with that trend strengthening in the near to medium future as a result of ongoing demand for nickel and upgrades to extraction and production facilities throughout the province. There are currently 30 mining operations in the North Province. As in the South Province, labour shortages have forced the importation of foreign labour, particularly from the Philippines. This has become a contentious issue at both the provincial and national levels. Because of its strong nationalist sentiment, the North Province government has claimed a stake in resource extraction enterprises, nickel mining in particular. The North Province government has a financial and investment arm that wholly owns the Societe Miniere du Sud Pacific (SMSP). SMSP holds a 51 percent interest in the Konaimbo mine project developed with the firm Glencore-Xstrata under the corporate name Konaimbo Nickel SAS. It also has, along with other provincial governments, a thirty percent stake in Societe Le Nickel (SLN), the largest local mining enterprise. Depending on political conditions it is possible that the provincial authorities will seek to increase their share in such public-private ventures in the near to medium future, to include sub-contracting work. Koumac is a commune, or municipality, in the North Province, one of 33 such districts nation-wide. It has a population of 3700, 40 percent of whom are European (Caldoche), 30 percent of whom are Kanak, 13 percent mixed race and 17 percent being from other ethnicities. This demographic is unusual in that Caldoche are the dominant group, perhaps due to the fact that Caldoche cattle ranchers have a strong historic presence in the district (there is a historic rodeo held in Koumac every year). In addition, the French military maintains a company-sized permanent training and recruitment depot in Koumac, with the total number of troops in the North Province including a detachment in Kone reaching 450. The Koumac municipal council is made up of 27 elected members. Led by the local umbrella party Union for Communal Progress (UPPC), loyalists dominate politics in Koumac, to include the Mayoralty (currently held by the Honorable Wilfrid Weiss, a member of Avenir Ensemble). The Sixth Deputy for Facilities and Construction, Marc Devillers, is a UPPC member and head of the Communal Mining Committee. Three FLNKS members, who campaigned under the UPPC banner in local elections, hold seats on the council and chair the Tribal Affairs and Health and Social Welfare Committees, respectively. The composition of the Koumac council elected in May 2014 puts the district at odds with the rest of the North Province when it comes to the issue of independence yet ensures relative stability within the commune given the demographic. The assignment of municipal council committee chairs to FLNKS members demonstrates a willingness to cooperate on the part of the UPPC-led majority. However, the relationship between the local political authorities (represented in the North Province Council by the UPPC mayor and a UPPC council member) and those of North Province may be a source of tension beyond the question of independence, particularly when it comes to resource management and foreign investment. The focal point of economic activity in Koumac has been and is the Tiebaghi chromite and nickel mines. The chromite mine was permanently closed in 1990, but after exploitable nickel deposits were discovered in the 1970s a nickel mine was opened, then expanded in the 1990s. Operated by the Societe Le Nickel (SLN), a New Caledonian subsidiary of the French metals group ERAMET owned in conjunction with Societe Miniere du Sud Pacific (SMSP), the mine has continuously grown since the early 2000s and includes a 1.5 kilometer ore conveyor at the to seaside loading facilities at the Karembe wharf. It currently extracts approximately 60,000 tons of nickel ore per year, with projections for in excess of 75,000 tons by 2015, or 30 percent of SLN’s production. As part of the expansion of the Tiebaghi operation it has become necessary to systematically use explosives, as the ground iron crust has become too hard for extraction using traditional techniques and machinery. The Tiebaghi mine is the subject of numerous oversight mechanisms, including customary, municipal, provincial and national authorites focused on environmental impact and working conditions. The mine has added several hundred jobs to the local economy over the last decade and is seen as a good example of public-private, community focused cooperation. New Caledonia is a member of numerous international organizations and diplomatic groupings, and has particularly strong representation in Melanesia and the wider South Pacific. This includes associate membership in the Pacific Island Forum (PIF), full membership in the Secretariat of the Pacific Community (SPC), Melanesian Spearhead Group (MSG), United Nations (UN), International Labour Organisation (ILO), International Confederation of Trade Unions (ICTFU), French Pacific Banking Agreement, and the UN Economic and Social Commission for Asia and the Pacific. New Caledonian diplomatic representation overseas is small owing to its limited skill base and French control over the bulk of its foreign affairs. However in the Pacific region New Caledonia represents itself and has a unique presence in the Melanesian Spearhead Group. The MSG is a transnational organization grouping the Melanesian nations of the Southwestern Pacific. The MSG Secretariat is located in Port Vila, Vanuatu, in a building built and donated by the People’s Republic of China. The MSG Director General position rotates every two years. In 2013 a New Caledonian, Victor Tutugoro, assumed the Director General’s position, with the MSG 25th anniversary celebrations held in Noumea that year. New Caledonia’s representation in the MSG is unique. It is not represented by the elected government but by the FLNKS. This is due to the fact of its special status vis a vis France and the Kanak identity of the FLNKS. Only Melanesian indigenous representation is accepted for membership by the MSG, which excludes the New Caledonian government because of its Caldoche nature and its lack of full sovereignty. In recent years the MSG has become a rival to the PIF, a move instigated by Fijian strongman Voreque “Frank” Baimimarama because of his perception that Polynesian interests were given preference in the PIF and that the PIF was subservient to Western interests in any event (particularly those of Australia and New Zealand). Since the Melanesian states are more resource endowed than the Polynesian island states, creation of the MSG afforded the former a strong diplomatic counterweight to the PIF. The MSG already has its own World Trade Organisation and GATT-approved preferential trade agreement amongst member states, and is working on developing an indigenous Rapid Reaction Force to cope with social unrest and political instability in Melanesia. One of the diplomatic initiatives promoted by Baimimarama within the MSG is a turn away from Western-centric diplomacy and towards Asia, China in particular. This is seen as a source of leverage based on mutual advantage, as China and other non-Western states are interested in access to Melanesian resources. Having stronger ties with non-Western powers allow MSG members to resist pressure from their traditional Western patrons on matters of diplomatic import, including but not limited to regional affairs. This can impact on New Caledonian domestic politics because the MSG, which consists of Fiji, Papua New Guinea, the Solomon Islands and Vanuatu as well as the FLNKS, supports the pro-independence movement in New Caledonia and its quest for full sovereignty. It therefore may lobby for a removal of French forces from Grande Terre (arguing that a MSG rapid response force can cope with disturbances in member states yet not be prone to military intervention or adventurism based on neo-imperialist or post-colonial objectives). It may also seek to diplomatically press other regional neighbours and cultivate foreign powers in support for the independence bid. Although it is unlikely that such an MSG campaign will prosper and instead result in pushback in the form of increased resistance from Loyalists in and outside of the New Caledonian government as well as France, Australia and New Zealand, it could have the effect of exacerbating internal tensions within New Caledonia over the issue. Beyond that, New Caledonia’s foreign policy orientation will remain centred on France, Australia and New Zealand as well as its Pacific neighbours. It will continue to work within international forums as part of the Oceania bloc, and will support efforts by international organisations and transnational regimes to better regulate natural resources (such as fisheries) and commodity exploitation in sustainable ways. 36th Parallel Assessments uses a variety of indicators to determine political risk at a local, national, regional and market level. These include indicators of political stability, labour relations, ethnic conflict, social stability, economic composition and growth, civil-military relations, foreign affairs, regime type and governance dynamics, to include executive-legislative relations and party competition. Based on qualitative analysis of these indicators, the analytic subject is assessed a rating on a scale of 1-10. A ranking of 0-2.5 indicates low political risk, 2.6-5.0 indicates low medium risk, 5.1-7.5 indicates high medium risk and 7.6-10 indicates high risk. 36th Parallel Assessments considers New Caledonia over the next five years to rank 3.75 on the scale of political risk, indicating a low medium risk. The main sources of political risk in New Caledonia are government paralysis over the issue of the independence referendum, labour conflict or social unrest sparked by environmental harm, working conditions, immigration or the cost of imported wage goods and commodity prices. More widely, there is the possibility of ethnic or political violence associated with the outcome of the referendum. The main counters to political risk are the stabilizing influence of French remittances, the French civilian administrative and military presence, foreign investor awareness of local sensitivities, Kanak participation in mining enterprises, the centrist orientation of all major political groups and the distributional benefits accrued from sustained economic growth based upon rising nickel prices resulting in increased employment and a larger tax base for the provision of public goods and services.